Per API 553 recommended practices for Refinery valves, Camflex Rotary Globe valve is recommended in refinery distillation, FCCU, catalytic reformer, delayed coker, gas plant,, and sulfur recovery unit. Camflex Rotary Globe has performed for decades in difficult applications including brine water, dry chlorine, HCL, Heater Drain, Saturated Steam, Ammonia, Vinyl Chloride, Vinyl Acetate, Titanium Tetrachloride, Sulfuric Acid, Sulfur, Steam Condensate, Rich Amine, Bottom Residuals, Phosphorus Trichloride, Phosphorous acid, Alumina silica acid, Nitric Acid, Dowtherm, Green and Black Liquor. Camflex Rotary Globe combined with the SVI II AP SMART positioner exhibits high-resolution throttling control performance achieving .002 inch step change (2 thousands of an inch), 0% overshoot, 1.5 sec. settling time, step change time .01 sec., wait time 10 sec. Uncomplicated, yet attentive to all the right details, the Camflex II eccentric plug rotary control valve offers a universal integrated system of valve, actuator and positioner. The valve’s key design objectives — reducing friction, reducing drive-train slop, and mitigating component wear — are accomplished through a standard and simplified design architecture that helps this control valve reliably perform the basic functions of shut-off, throttling and emission control, over an extended lifetime. The Camflex II eccentric plug rotary control valve is built on a standard platform with enormous versatility and breadth of application. Camflex created the eccentric plug, a true rotary globe control valve that packages the best features of a globe-style valve within rotary valve architecture. In addition, high-end features such as the extension bonnet, hardened trim, and high-performance low-emission packing are all standard, providing exceptional long-term reliability. In fact, Camflex valves regularly outperform other control valves in a variety of severely erosive applications where abrasive solids tend to tear apart other types of valves. Optional constructions, such as the patented DVD* (Differential Velocity Device) noise reduction trim, alloy constructions and a cryogenic extension bonnet allow these valves to be tailored to fit your specific application needs. All of this combines to offer a low life cycle cost, from purchase and installation through start-up, operation and maintenance. More than 1 million Camflex valves have been successfully installed and operated in a variety of process industries and applications. The latest Camflex design maintains the\ valve’s legendary dependability based on a field-proven concept that remains a standard of excellence for eccentric plug rotary control valves. With its eccentric rotating valve plug, the Camflex II eccentric plug rotary control valve reduces two common valve shortcomings: excessive seal ring friction inherent in ball valves and high actuator forces required for tight shutoff of either conventional globe valves or butterfly valves. By combining eccentric plug action with a long actuation lever, this valve achieves a 3:1 force multiplication. This means that only one-third of the force required to stroke a conventional single-seated globe valve is required for the Camflex actuator to stroke against a given pressure drop. Why pay extra to comply with current environmental emissions requirements? Unlike some control valves that require expensive specialized packing systems to satisfy low emission requirements, Camflex II eccentric plug rotary control valves come standard with the Masoneilan EF* seal (Emissions Free seal) technology. The Camflex II eccentric plug rotary control valve is manufactured to high standards using precise techniques, quality craftsmanship, advanced technology, industry knowledge and expertise, and more than 130 years of process control experience. SVI* II AP (HART®) or SVI II FF (FOUNDATION™ Fieldbus) positioners share innovative features that optimize control performance. The Camflex II eccentric plug rotary control valve easily adapts to a variety of applications, offering an efficient solution at competitive prices. Standard Camflex parts are available off the shelf, allowing for product enhancements that are typically offered as options on many of our competitors’ valve products. Such unique features as the standard extended bonnet allow for operation within a wide temperature range. The optional “GR” (Globe Replacement) body configuration provides a longer body face to face dimension that matches most traditional globe control valves. This allows direct replacement of those valves without the need for piping modifications or spool pieces. expensive parts required for a Cv change of a conventional globe valve. Camflex II valves are available with patented Masoneilan DVD (Differential Velocity Device) noise reduction trim. This highly efficient yet economical low noise solution applies a concept from turbo-fan jet technology. The DVD device uses larger diameter outer holes to create a lower velocity annular flow stream around the flow area perimeter. This lower velocity flow stream reduces noise transmission from the higher velocity inner flow, resulting in lower external noise levels. 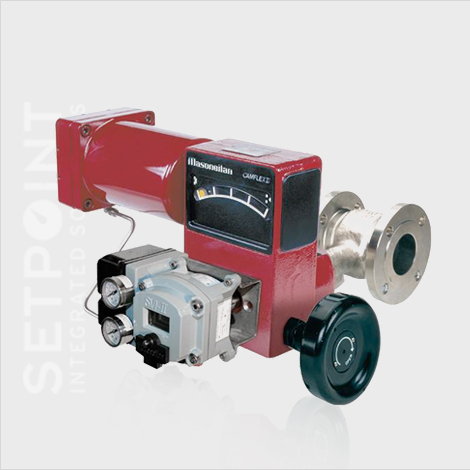 Since not all control applications involve easy-to-handle or non-hazardous fluids, we offer cost-effective valve options that tackle the challenges presented by extremely high or low temperatures, or corrosive/erosive fluid streams. Cryogenic Extended Bonnet option is available for use in applications to -320°F (-212°C). Optional soft seat. ANSI Class V for reciprocating or Class VI or better for rotary. Camflex II eccentric plug rotary control valves effectively offer a combination of superior control performance, simplicity and long-term reliability over a broad range of applications. Our value is evident when you compare our valve with the competition. The unique, self-aligning Camflex II eccentric rotating plug provides tight shutoff and low dynamic forces. A large variety of reduced-trim options are available in all sizes. Straight through flow pattern provides greater flow capacities. The Camflex II eccentric rotary globe control valve effectively combines enhanced control performance, simplicity and long-term reliability for a broad range of applications. 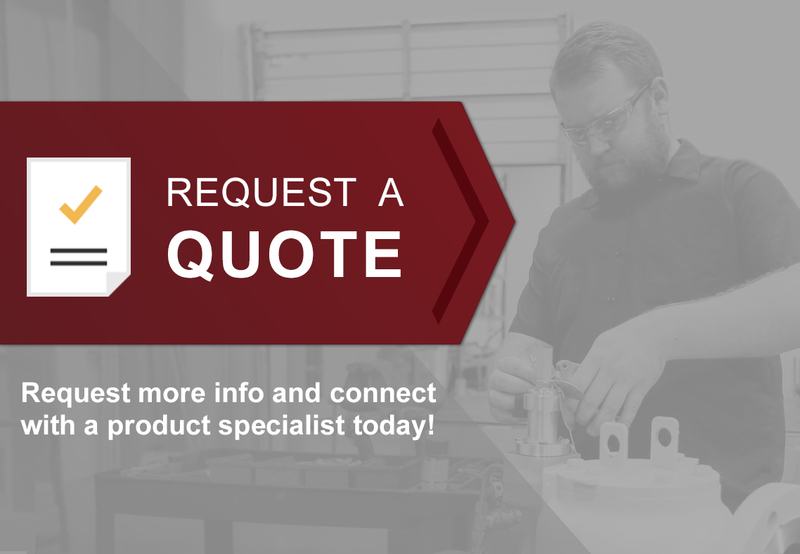 Click here for the OEM description or contact us today to learn more.